Millennials, also known as “Generation Y,” are the demographic cohort termed by experts in the West as those born between 1980 and 2000. Exhibiting shared traits that according to some are characteristic of the generation itself, Millennials have become a subject of intense controversy online and in the media over the last decade as they have increasingly entered the workforce in droves. According to multiple sources, Millennials may make up as much as 50 percent of the workforce by 2020 in countries such as the U.S. and the U.K.
Across China, those born between just 1984 and 1996 number around 250 million, representing more than 18 percent of the population of the world’s second largest economy. For managers and employees outside of this generation, understanding what drives this demographic cohort is proving a significant challenge, especially as generational differences drive wedges between the respective expectations of Millennials and non-Millennials. In China, and even Macau, there are some who doubt that the demographic cohort model can be applied here with equal accuracy as in the West. The reasons are twofold: firstly, the distinct socio-economic status (and change in status) of populations in countries such as China over the last half-century; and secondly the question of whether these theories can indeed be applied cross-culturally. “That’s the problem with a lot of management research, it hasn’t been tested cross-culturally and much of it has come out of North America. Applying Western theories to local contexts is hazardous,” warns Lee. For example, a common characteristic applied to Millennials in Western countries is that a greater proportion of them choose to live at home with their parents well into their 30s than did previous generations. Those who argue that the mold equally applies to China, Macau or Hong Kong, point to an even larger proportion of young people living at home with their parents in the HKSAR – as many as 76 percent according to an article in the Financial Times earlier this year. The point raised however, does not apply enough weighting to the cultural characteristics of countries like China, where multi-generational households have been the normal cultural practice for immeasurable time. Indeed, the little research that has been undertaken so far on Millennials in China has pulled up results unlike that in the West, where the theories originated, leading some to assert that generational theory in China is far more nuanced. Fish is not describing China’s Millennials as “The Want Generation” in a negative sense, but rather he is seeking to categorize a group who are unsatisfied with the opportunities that the country currently offers them. He found that generations in China were better categorized as every five years, as opposed to the traditional (up to) 20-year periods defined in the West. If Fish is correct, any management strategy seeking to develop a policy for Millennials in China would need to be far more nuanced in its approach than in the West. “Are people aware of these generational differences? Yes. But to the extent that they understand the theoretical underpinnings or name each group, probably not,” said Leanda Lee. Numerous studies have shown a direct link between socio-economic status and expectations for quality of life. In other words, the wealthier a population is, the higher the expectations of quality of life, including in areas such as basic necessities, education and work. It’s arguable that Macau’s level of socio-economic development places it closer to the West than to China, but its culture is overwhelmingly Chinese, both in origin and in influence today. Understanding and finding ways to engage with young workers in the MSAR is regarded as a significant challenge for employers, especially with a limited local labor force in the city and restrictions imposed on the hiring of non-locals for certain roles. 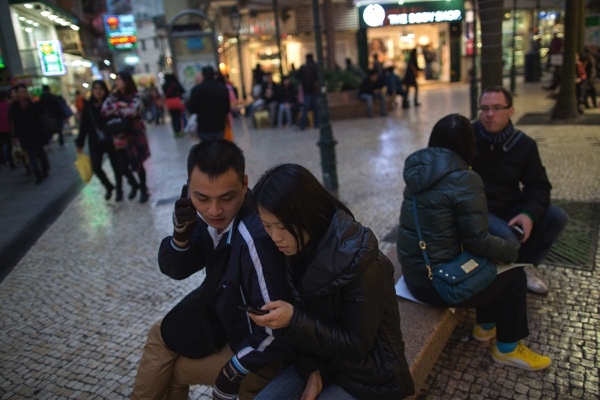 Whether Macau youngsters can be categorized as “Millennials” in the traditional sense or not remains open to debate, but with thousands of them entering the workforce each year employers will be increasingly looking to better understand what makes them tick. A seminar will be held this afternoon at the Mandarin Oriental Macau discussing the topic of Millennials. Organized by the France Macau Business Association, Mark Cosgrove, director of Training at Dale Carnegie Training HK & Macau, will give a presentation entitled, “Learn How to Engage Millennials.” The talk will focus on sharing tested “employee engagement drivers that are unique to Millennials,” and will explain how organizations can develop strategies and an environment that helps to better engage and retain them.